Yup -- good storm last night. .75 in the bucket -- 30 solid minutes of a steady rain falling at a 45 degree angle. Not tons of lightning up my way (mostly cloud-cloud), but some good bolts on the back side north of me up toward San. We finally got a good flow coming in from the SE. Thanks, Bills! limits, and no longer poses an immediate threat to life or property. is still possible with this thunderstorm. Glad y'all all seem to be doing well in the rain gauge for the month! I finally caught a little bit yesterday evening - .28". That brings me to .98" for the month. I suppose it could be worse! was located near Perry, and moving northwest at 15 mph. sangria wrote: Glad y'all all seem to be doing well in the rain gauge for the month! I finally caught a little bit yesterday evening - .28". That brings me to .98" for the month. I suppose it could be worse! Good afternoon. Glad to see ya'll getting some drops in the bucket (even san). Had one of those fringe storms here today teasing me but had a brief spurt for a few minutes. Might get a little "debris rain" as I call it in a bit. It's when a cluster of meandering t-storms pulses up then winds down but leaves a larger rain shield of light to occasionally moderate rain in its' wake with some occasional booming to go with it. I see per Largo's post the yellow X off the Carolina's. That's what a couple models have been hinting on/off at. More recent radar to illustrate. 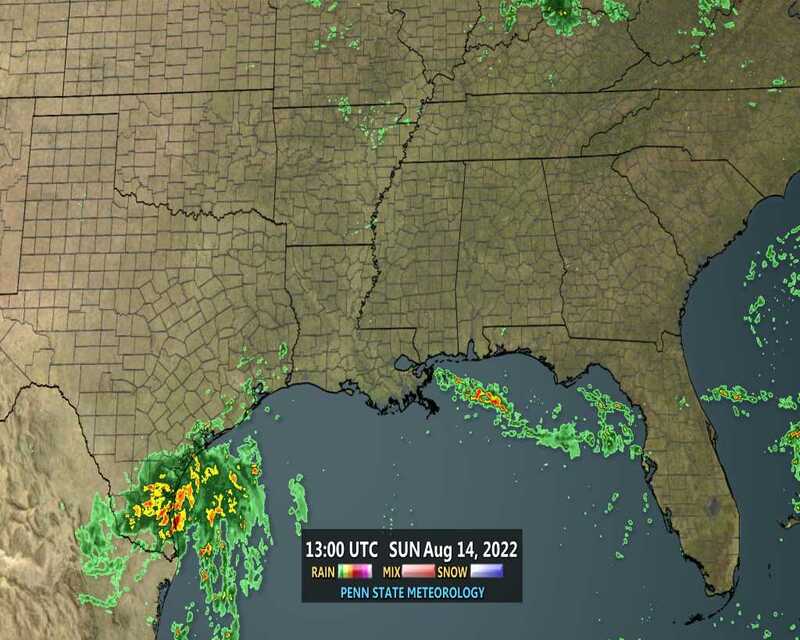 thanks for letting us know whats going on up there Aug..the radar shows it clearly alright..well no rain by my house yesterday(tuesday)..and really warm and humid it was whew..its going to be a long hot summer for sure huh. enhanced in afternoon sea breezes. indices reach the 100 to 105 degree range. Good early Wednesday Morning folks! !..well forecasters are saying we are back on our regular summertime pattern..hot-humid with the possible rain and/or TS..this early morning i dont see anything Tropical bothering florida.thats good...well Blogs coffee is ready when you get here..grab a cup and join in with us here ok...well have a great day everyone! Good morning everyone. We got some heavy rain last night, I think around 10 or so. Not sure how long it lasted or how much. Flu arrived on Monday morning. I HAD to go into work for about an hour, but for the most part slept all day and night. Worked for about 5-6 hours yesterday and slept pretty much the rest of the day and night. Back to work this morning. Not a 100% for sure, but after what I felt like on Monday, I'll take it! BillsfaninSoFla wrote: Good morning everyone. We got some heavy rain last night, I think around 10 or so. Not sure how long it lasted or how much. San, You seem to be in that spot that gets missed a lot. Be careful what you wish for though. I had a year where the storm went right around me the entire month of June and July. Then, an Invest formed in the NE Gulf and I got 25" of rain in 5 days!!! Needless to say I was over the rain at that point. across east central Florida as temperatures rise into the low 90s. threats from any thunderstorms that develop. 40 mph and a quick one to two inches of rain. storms. Storms will gradually diminish into the evening hours. Spotter activation will not be needed today. Good Thursday Morning Folks! !..well no rain for my area yesterday,might be the same today,NWS is saying a possible 40% chance,i guess its ok,I dont expect rain every day.........did any of you, get some rain yesterday?...well Blogs Coffee etc will be reafy when you get here..grab a cup and relax..post a few with us here, tell us how the weather etc. are in Your neck of the woods ok........well have a great day everyone! 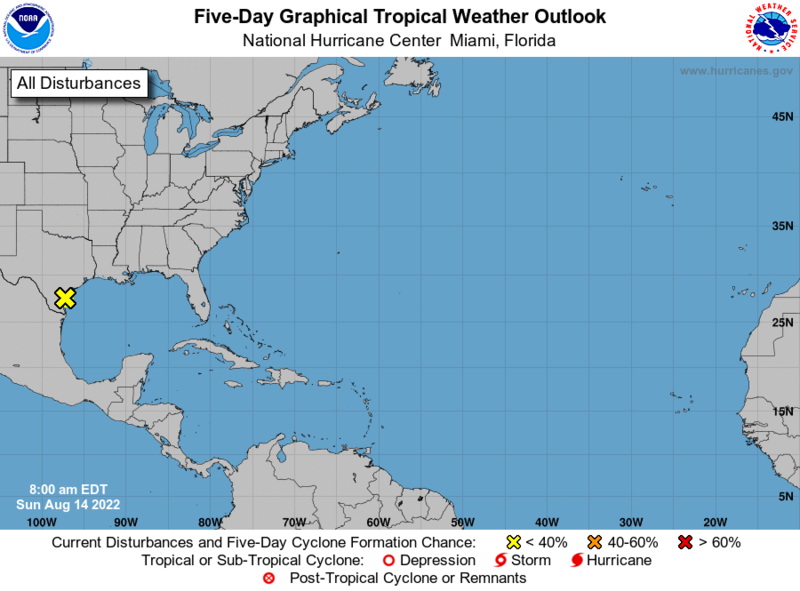 This hazardous weather outlook is for South Florida. interior South Florida during the afternoon and early evening. Cloud-to-ground lightning is the primary threat. Spotter activation will not be needed. Not much going on in Z-hills. Lots of thunder booming and plenty of lightning around. On the fringes of all the storms. Makes for good watching!! I did get .09 in the bucket and that puts me at 5.04 for the month. San, Are you sure you don't have a cover over your rain gauge!! HAHAHA! well next Wednesday is the 4th of July,,I always thought they should make all National Holidays on a monday or friday thus making a long holiday weekend..then someone said to me...how about all the people who Work..on weekends? Not much going on here weather wise except for the heat and humidity. With this westerly flow there have been quite a few small popcorn showers around, but nothing large has been able to get going until they get inland/east later in the day. I have had 3 brief showers today since early this AM, but they have added up to only .10" in the bucket. waterdipper wrote: Not much going on here weather wise except for the heat and humidity. With this westerly flow there have been quite a few small popcorn showers around, but nothing large has been able to get going until they get inland/east later in the day. I have had 3 brief showers today since early this AM, but they have added up to only .10" in the bucket. to 50 mph especially where the sea breezes and lake breeze collide. the National Weather Service forecast office in Miami. well again south and east coast florida with the good storm-rain-wind chances..stay alert and safe out there folks!! 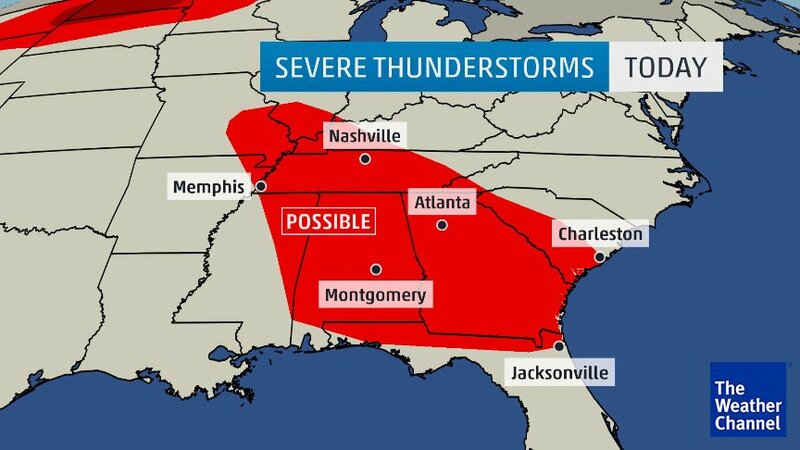 so you folks up in the panhandle area's and Gomey and folks in Alabama..heed your local weather warnings today..stay safe up there. Indiantown. This storm was moving southwest at 5 mph. Winds in excess of 40 mph will be possible with this storm. Frequent cloud to ground lightning is occurring with this storm. * Until 345 PM EDT. moving southeast at 10 mph. Palm Coast, Flagler Beach, Bunnell, Beverly Beach and Espanola. flash flooding. Do not drive your vehicle through flooded roadways. BILLSFAN..please stay alert down there ok..
Beach. This storm was nearly stationary. Ranches, Boca West and North Pompano Beach. Flagler Beach, Bunnell, Beverly Beach and Espanola. Continuous cloud to ground lightning is occurring with this storm.